One single song for rock n roll, one giant leap for The Gecko. 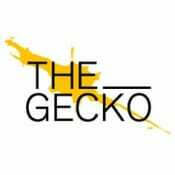 The new single is the platform to launch The Gecko into the airwaves – your support is the fuel we need to get us up there. This project ended successfully on 23/7/2013 15:00! We will send you personal Thank You postcard, sent to wherever you are + your name on our website´s SUPPORTERS page. A signed band photo and a personal Thank you card + your name on our website´s SUPPORTERS page. Send us your photo too! A signed copy of our EP: Failure is not an option + invitation to the «single release party» + a song dedication to you on the night + your name on our website´s SUPPORTERS page. Send us your photo too! Amazing Fan Package: The Gecko T-shirt (tell us your size) + signed poster + a signed copy of our EP: Failure is not an option + invitation to the «single release party»+ a song dedication to you on the night + your name on our website´s SUPPORTERS page. Send us your photo too! Super Amazing Fan Package: Signed and handwritten lyrics of your favourite Gecko song + The Gecko T-shirt + signed poster + a signed copy of our EP: Failure is not an option + invitation to the «single release party» + a song dedication to you on the night + your name on our website´s SUPPORTERS page. Send us your photo too! Enjoy a dinner with the band + a music lesson with the band member of your choice + your name on our website´s SUPPORTERS page. Send us your photo too! Enjoy a dinner with the band + come by for a listening or jam session with the band during one of our rehearsals + your name on our website´s SUPPORTERS page. Definitely send us your photo too! We will play a personal acoustic concert for you (in, or close to, Berlin) with a song dedication to you (or whoever you like) + your name on our website´s SUPPORTERS page. Definitely send us your photo too! Party like crazy with a Full band concert (in, or close to, Berlin*)** + song dedication to you (or whoever you like) on the night + your name on our website´s SUPPORTERS page. Definitely send us your photo too! *outside Berlin could also be possible if you can cover transport and accommodation. **you would also need to provide a PA system and sound guy – but it would be worth every cent! High-energy synth and guitar driven indie electro rock from London and Berlin. «The Gecko sound is relatively well symbolised by the animal itself: somehow nimble and fast, from one corner to the other, high and deep, agile with elegance, slick, slim, but also dirty, down in the mud, swimming in slime and and making everything dirty when it climbs up.